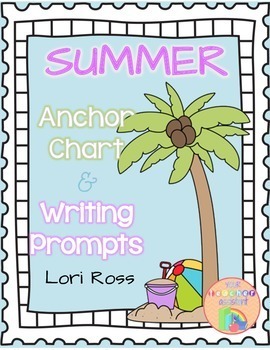 This Summer Writing Anchor Chart and Prompts product gets your kiddos thinking about things they do in the summer and writing about it. 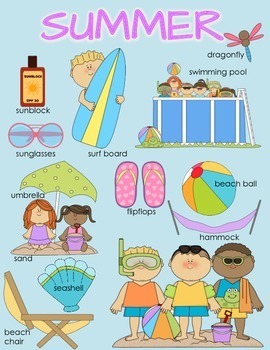 The colored anchor chart with pictures as well as vocabulary is great for building schema, adding the necessary support for primary learners, as well as your LD, ELL, and ESL students. 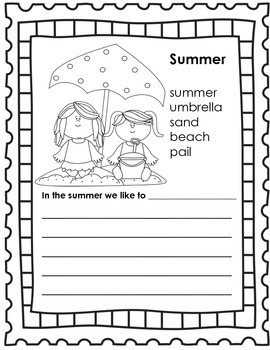 Each writing page includes a black line picture for students to color, a word box and a writing prompt. 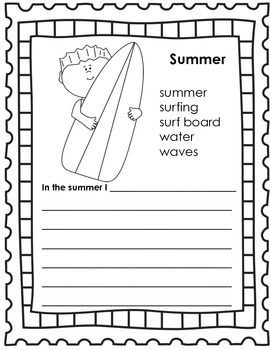 The last two pages provide differentiation for advanced writers preferring more lines for writing and less space for a picture; as well as one page of all lines with the Summer title at the top of the page.